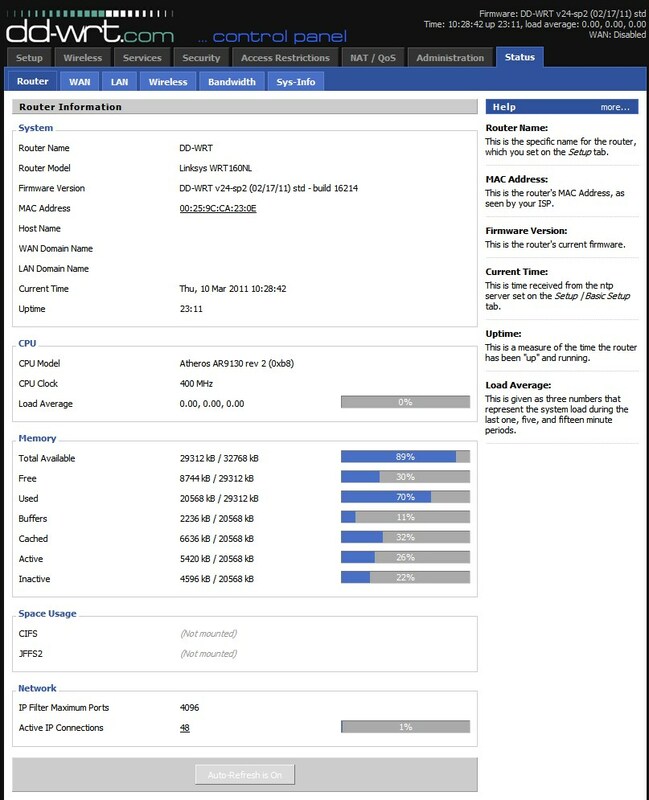 Another question, I don't quite get the usb support of dd-wrt on this router, what exactly does it mean, does it only support mounting drives (what partitions besides ext and fat, does it support hfs and ntfs mounts) or also sharing (only samba?) or do I need to install this functionality separately? Changing firmware seems to be hit and miss with this router. I've "bricked" it by just upgrading to a newer DD-WRT (or by switching to Gargoyle), but sometimes it works just fine. Sorry, I've not had the chance to test out mounting drives. Could you please explain the procedure to do the TFTP for the router which is not pingable. I was trying to do the firmware upgrade, but in between a power failure. On restart it is not even pinging. The power light is just keeps blinking, the ethernet is working. but no ping reply. 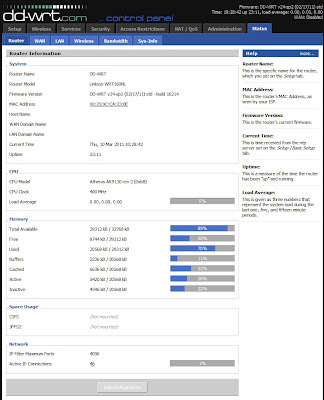 Hi, can you please tell me where, you get never version of ddwrt than 14896 that is shown in router database? Hi! I tried what you worte but the problem appears that I have no router IP address. How can I use TFTP in this case? Do I need a serial cable or is there some other way to put the image on the most likely bricked device? When the router is not responding, you can't get an IP address from the router, so you'll need to manually set an IP address on your computer. However, you need to know what subnet the router is and place the computer into the same subnet. i.e., if the router is 192.168.1.1, then you need to put the computer into the same subnet, e.g., 192.168.1.2. Hello. can someone help me? After upgrade me wirelles connection is better than lan connection. before i had 10mb/s download and after upgrade i`ve got onl 3mb/s. Please can someone help me?